At Creative Culture, we have a real passion for cultures and global communications. To further promote this, Summer 2018 sees the launch of our new Advisory Board, comprised of senior leaders from marketing and communications, business management, digital economy, academia and cultural consulting. All members share a passion to make communication across cultures and markets more relevant, understandable and clear, and to provide industry leadership with innovative discussion and engagement. The objective of the Creative Culture Advisory Board is to champion current standards and processes so we can continuously improve how global brands interact with local customers. Anton is a Partner and the Head of Digital & Innovation for Financial Services in KPMG in the UK. Over the past 20 years, Antongiulio La Corte has held several consulting and management roles in the Media & Technology sector at H-art (GroupM / WPP), Bain & Company, Tiscali and Accenture. In these positions, he has worked for top industry players on strategic digital projects and the development of new business. He has also led international investments for H-Farm, the venture capital incubator co-founded in 2004 by the Rossi family near Venice (Rossimoda, now part of LVMH, is the luxury footwear manufacturer behind Kenzo, Céline, Givenchy, Donna Karan). In 2010 he co-founded Smartbridge in London, a boutique advisory firm focussed on early stage corporate finance and international business development for clients across the UK, Europe and India, specialising in key sectors including Digital Media, TMT, Cyber Security, Entertainment and Clean Tech. Antongiulio also works as a Non-Executive Director for several Internet and New Media companies in the UK. Claire Randall is the Founder and CEO of Claire Randall Consulting, a global production consultancy with its headquarters in London. 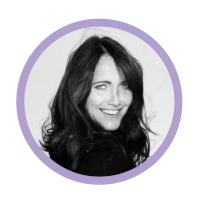 Claire started out as a TV Producer at Saatchi and Saatchi London. In 1996 she formed the company to manage all TV production for Mars Europe, across all categories, on an exclusive basis. Mars is still one of CRC’s longest standing clients. In 2000, CRC extended its coverage to the US and over the years has expanded into Asia Pac and the Middle East. CRC now works with a wide range of advertisers including adidas, McDonalds, Kellogg’s, Axa and Beam Suntory, helping them manage their production needs across broadcast, digital, print and radio. Claire is a well-known figure in the industry, consulting and advising for industry bodies such as ISBA (Incorporated Society of British Advertisers), and the IPA (Institute of Practitioners in Advertising) and the ANA (Association of National Advertisers). Since 2002, Dominic Lyle has been the Director-General of the EACA (European Association of Communication Agencies), the leading European advertising trade organisation. The EACA’s role is to promote the image and reputation of the communications industry in Europe and to provide services such as education and training to its members. In his leadership role, Dominic promotes the culture and dynamics of the communications industry, as well as managing the regulatory, structural and best practice issues facing members in Europe. A former student of International Law at the University of Lausanne, Dominic has spent an impressive 35 years in the communications industry, focusing on PR & brand management. In 1994, he moved to Brussels to establish a PR practice for Porter Novelli, managing clients such as Ericsson, BT Europe and HP. He subsequently continued to chair Porter Novelli’s European technology practice in Paris. Dominic is a regular industry speaker, featuring at events such as Golden Rose of Montreux, National Advertising Festivals and the Rainbow Marble. As VP at McDonald’s UK, Emily led the brand through a period of unprecedented transformation when it comes to customer experience, generating innovative creative output and higher than ever ROI recognised with a record numbers of creative and effectiveness awards. Prior to that Emily was MD at Havas WW London and held senior positions at Leo Burnett. She also worked for 8 years at the BBC and Red Bee Media (the in-house creative department of the BBC). Previous roles were held at Abbott Mead Vickers, Lowe Howard-Spink and Bainsfair Sharkey Trott. Throughout Emily’s career she has always held strong values based on authenticity, integrity, customer obsession and a belief that creative thinking is the key to unlock business success. Fons Trompenaars graduated with a PhD from the Wharton School of the University of Pennsylvania in 1983. He later joined the Personnel Division for Shell, and in 1989, alongside Charles Hampden-Turner, he co-founded the Centre for International Business Studies. Together, they also created the model for national cultural differences, guidelines for cross-cultural communication which can be applied to general business and management. Fons has since spent over 30 years helping Fortune 500 leaders manage and solve their business and cultural dilemmas in order to increase global effectiveness and performance. Today, Fons is regularly listed as one of the world’s most influential management speakers and has been awarded various prestigious international prizes for his work. He has featured in Thinkers50, the well-known global ranking of management thinkers, since 2011 and has been inducted into their Hall of Fame in 2017. It salutes contributions who have made a lasting and vital impact on how organisations are led and managed. Today, Fons is internationally recognised for his work as a consultant, trainer, motivational speaker and author of various books, including “Riding the Waves of Culture, Understanding Cultural Diversity in Business” which sold over 120,000 copies and was translated into 16 languages. After co-founding the communication consultancy Smythe Dorward Lambert in 1989, John went on to co-found Engage for Change in 2004, specialising in helping management teams engage themselves and their people in developing business strategy, operational improvement and organisational change with over 50 organisations including Jaguar Land Rover, the BBC, Total UK, BA, parts of UK government, the EU commission, global pharma companies, PWC, Freshfields Druckhaus Deringer, Stewarts Law (UK’s leading litigation law firm), DLA Piper, M&S, Arcelor Mittal, SAP, RBS, Aviva, NYSE Euronext, C&A, and Microsoft. John is a seasoned facilitator of conflicted groups and a speaker on the dynamics of engagement around the world. His specialism lies in the design of creative interventions, as well as advising how to coach groups and individuals at all levels to enable them to participate in dispersed decision forming. Having extensively written on these subjects in his three books, he now has another on the way on the secrets of women entrepreneurs (with co-author Ruth Saunders, an expert in involving top teams in strategic marketing). And is working on a book for children – The tails of Harry Fox based stories he told to his now 16 year daughter Coco. He has on the ground experience across Europe, North and South America, the Middle East, Asia Pacific, Africa and Scandinavia. He advises start- ups and post start ups on turning the bear traps ahead into opportunities. Mélanie Chevalier is the founder and CEO of Creative Culture, a cross-cultural consultancy based in London. With 15 years’ industry experience in cross-cultural communications, Mélanie has been helping brands and agencies roll-out their creative concepts and campaigns internationally. Over the years, Mélanie and her team have gained considerable experience in cross-market communication and strategy by providing real-time local insight and cultural audits, as well as global content and local engagement solutions. Some of the leading brands Mélanie has been working with include Barclays Wealth, Cointreau, Coty, GSK, Johnson & Johnson, LOréal Luxe, Maserati, Nikon, Nokia, Orange, P&G, Philips, Sanofi, Sony and Urban Decay, amongst many others. A C Suite executive with general management and marketing expertise gained across a broad range of industries and companies, Paul’s career includes a range of executive and non-executive director appointments. His experience is grounded on the most professional strategic brand management training with some of the world’s leading brands, the development and direction of multi-discipline teams in many international markets and delivering bottom line profit and growth in often challenging and complex markets. Global organisations include Coca-Cola, GSK, Andrex (Scott Paper), William Grants, Sony and Carlton Communications. Paul co-founded Creativebrief in 2003, to create a new way of offering brands access to the latest and most relevant marketing intelligence, building a business that has worked with over 500 global brands. He currently leads the Creativebrief consultancy, focusing on creating and maximising the delivery of marketing strategy, planning and budget effectiveness, and sits as Creative Culture’s non-executive director. Robin Jaffray is VP Global Brand & Creative for Western Union and is also the Founding Director of Ammunition, a creative strategy agency that delivers multi-channel solutions through a global network of specialists and covers a variety of industries including Financial/Business Services, Consumer Electronics, Audio/Music and Media. Robin also lectures on brand and digital strategy at INSEEC in Geneva. Acting as Chief Strategy Officer at leading agencies such as FCB Inferno, Chemistry and McCann Erickson, Robin has worked on projects such as Britain’s biggest building projection and Nokia’s global launch of Lumia, as well as brands like Microsoft, Unilever, and Xbox throughout the UK and EMEA. With a comprehensive background in global strategy, Robin has won Cannes and Effie awards for his work regarding integrated communication strategies, audience insight and segmentation.